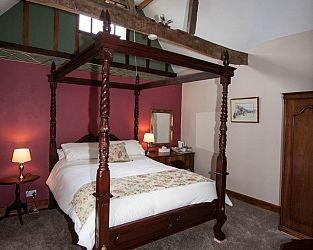 Visit Royston Hertfordshire and the surrounding villages and stay in bed and breakfast, hotel or vacation rental accommodation provided by BedPosts members. The town of Royston, in Hertfordshire, was formerly in Cambridgeshire. The population is around 15,000. Historically, the town developed where two ancient thoroughfares crossed: Icknield Way and Ermine Street. Visit the man-made Royston Cave dating from the 13th Century which may have been used by the Knights Templar. It is fashioned in the shape of a beehive with an opening the top for ventilation. It is most notable for its wall carvings which appear to be medieval. There are Masonic symbols indicating a possible link with Freemasonry. It might have been a spiritual centre, hermitage or a prison. Nobody knows! At the Royston Museum you can trace the history of the area from the Ice Age to the 1950s: Stone Age axe heads; Victorian farming equipment; World War II helmets; and even a Rubics Cube! One of the best attractions is a 1855 Columbian Printing Press that originally printed the Royston Crow. On designated days you can see it in operation. Also see the ceramics and glassware collection. visit the National Trust's Wimpole estate - "A working estate still guided by the seasons, with an impressive mansion and Home Farm"
If you seek accommodation near Royston in Hertfordshire you have come to the website of a “club” of providers who offer affordable quality accommodation around UK in hotels, bed and breakfasts, guesthouses, inns, and restaurants plus self-catering cottages and apartments .